If life is a kind of dish, what would it be for you? How would it taste? Is it sweet, bitter, or bittersweet? Life is a precious gift to us. It is something for us to enjoy. So C’mon, feel it, taste it. Savor the experience of being alive, being able to breathe, being able to enjoy the nature and the company of people we know, these and a lot more are priceless gifts of life. Life may have its moment of blindness, bitterness but overall, it is still sweet and magical for certain. So no matter what life throws at you, you are the chef of your life, the only person to decide what will be the flavor of your life. 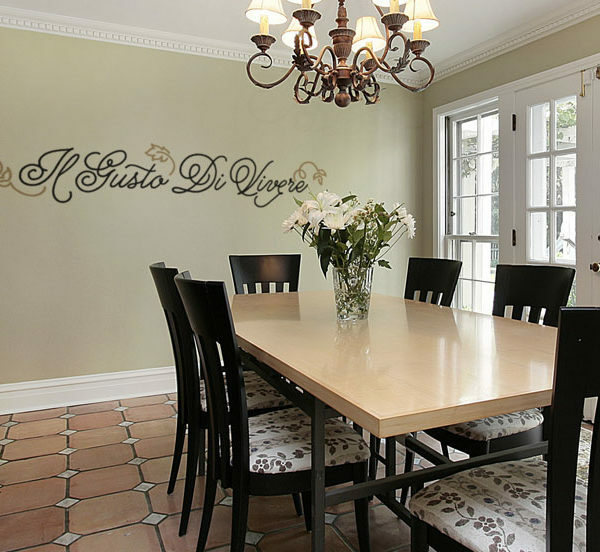 Accentuate your wall with this eye-catching popular Italian wall lettering, “Il Gusto di Vivere” which means “The enjoyment and flavor of life”. This wall decal is available in three exciting styles. Surely, this will invite joyful vibes into your home. It is a nice conversation piece perfect for your kitchen and dining areas. You and your friends will never run out of things to talk about life. Take a while to check our other wall decals on life, and be inspired by them. 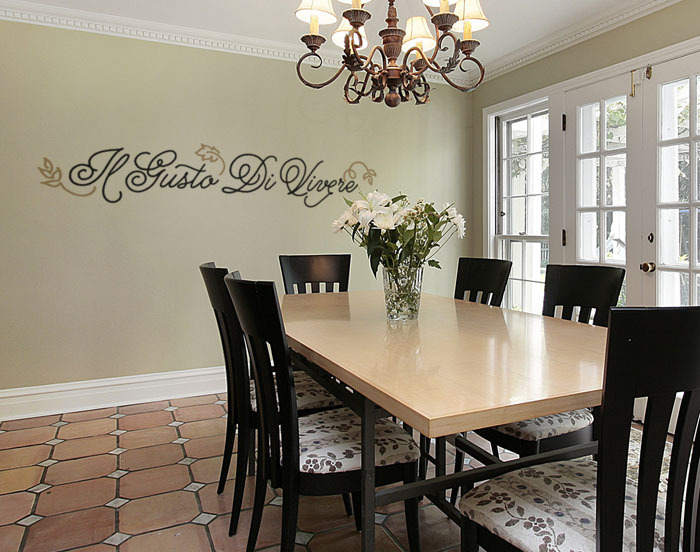 You can also find more of this kind in our dining wall décor, Italian quotes, life quotes. And if you enjoy the experience in our site and our wall decal products, refer your friends to us and we’ll give you rewards. Life is good. Enjoy every moment of your life and it will reward you a thousand fold!